As some of you may know, this board is constantly under siege by spambots. That's the reason I make new users tell me when they register. I have had the board set so that new registrations require admin approval to become activated normal members. 1: as admin, whenever a new user registers, I get an e-mail. I have them autofiltered, but it still fills up my email account. 2: the board automatically sends out an e-mail to new registrations. This would normally let them know an admin needs to approve their account and they'll be activated shortly. However, since these are spam accounts, the associated e-mails don't work. So I get anywhere between 1-3 emails from a mailer daemon telling me the email bounced. It's very annoying and gives me about 3,000 spam emails a month. 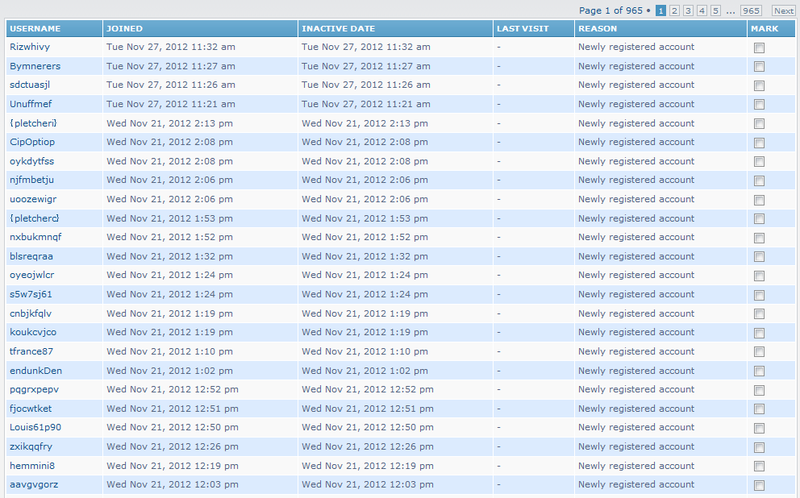 So, as a result, I've temporarily disabled new registrations entirely. If any new users (old subbers wanting in like our recent additions, etc) show up, they can contact me at one of my two AIM addresses (KuragariTeishu and EgyptianPingPong, whichever is online) or e-mail me at nighthand@gmail. Or they can contact an existing mainer who can poke me about it, that works too. I'm just letting everyone know in case the very unlikely event where one of you encounters it would wonder about it.